Be the first to share your favorite memory, photo or story of Tancy. This memorial page is dedicated for family, friends and future generations to celebrate the life of their loved one. Tancy Finkbiner, age 84 of rural Palestine, passed away on April 4, 2019 in Clearwater, FL, where she had been spending the winter. She was born Marian Frances Cochran on April 29, 1934 in Bedford, IN, the daughter of Marion Francis Cochran and Gladys Priest Cochran. The family moved to Robinson where Tancy’s father worked as a block man (regional sales director) for Allis Chalmers. Tancy graduated from Robinson High School in 1952, and subsequently graduated from Eastern Illinois University with a business education degree. She married Fred Finkbiner on May 31, 1955 and later joined him in Hawaii where he was stationed at Schofield Army Barracks. She taught fifth grade at Palestine for a short time and then taught business at Robinson High School before becoming one of the first faculty members hired at Lincoln Trail College. She taught business there for 25 years before retiring at the end of the 1994-1995 school year. Tancy was preceded in death by her husband Fred, who died August 31, 2018, both of her parents, and her sister Sherry Cochran Foote. She is survived by her sons, Brad (Pinellas Park, FL), and Doug (Newton, IL), her sister Libby, brother Donald, and brother-in-law David Foote. She is also survived by several nieces and nephews, friends and former colleagues. Tancy was a member of the First United Methodist Church of Robinson. 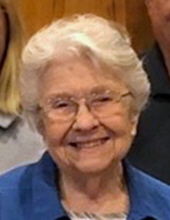 She and Fred were dedicated fans of Southern Gospel Music, and both volunteered in the Breakfast Club music ministry in the Tampa Bay, Florida Area. Tancy earned a master’s degree in business from Indiana State University and greatly enjoyed teaching in the Palestine and Robinson school districts, as well as at Lincoln Trail College. Among her many students were her two sons, both of whom took her typing classes. After she retired, Tancy worked with local businesses as a corporate trainer and also taught classes at the Palestine Library. She had the heart of teacher until the end. After a private burial in Oak Grove Cemetery, a memorial service will be held at 11:00 a.m. on Saturday, May 11th at the First United Methodist Church of Robinson. Memorials may be made to the First United Methodist Church Foundation, with envelopes available at the church. The Goodwine Funeral Home in Palestine is in charge of arrangements. To send flowers or a remembrance gift to the family of Tancy Finkbiner, please visit our Tribute Store. Guaranteed delivery before Tancy's memorial service begins. "Email Address" would like to share the life celebration of Tancy Finkbiner. Click on the "link" to go to share a favorite memory or leave a condolence message for the family.